Many Rooms was formed in 2009 by members of City on a Hill, as a practical and caring response to the growing number of Melbourne’s homeless and disadvantaged. It started with the Saturday Kitchen – Lunch; which was the very first of Many ‘Rooms’! As we grew and gained more support, we successfully added Saturday Kitchen – Breakfast. In 2015, we expanded to a new location in Melbourne CBD to create the Friday Kitchen – Dinner. It was an intentional choice to operate services at these times. Very few organisations are open out of hours or on the weekend, yet people have the same needs at these times as during the rest of the week. There was clearly a need to provide increased assistance on the weekends and out of hours to socially marginalised people. As well as a place where participants receive a nutritious two course meal, the Kitchen is a place where participants come to hang out, to relax, to feel safe and comfortable in an environment where they are accepted and where there is mutual respect. It is an environment where relationships are formed and grow, and people – participants and volunteers alike – do life together for a few hours every week. 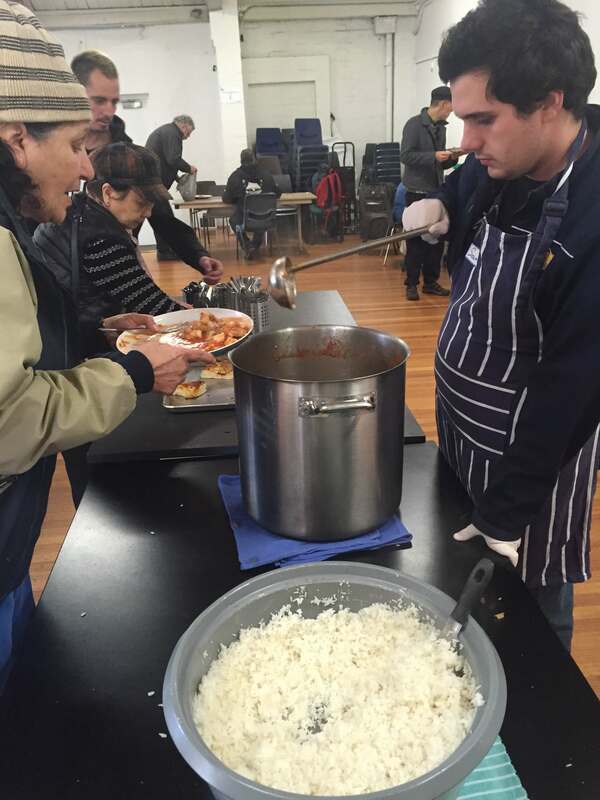 Over this time our dedicated and trained volunteers have cooked, served and cleaned up over 40,000 meals. We currently serve over 200 participants per week! In 2016-2017 we started a new initiative; creating The Packing Room – care packs for rough sleepers. This too continues to grow as we thoughtfully consult our participants, to meet the different short term needs of those doing it tough.